Are you making major mistakes when it comes to the food you eat? Dr Oz made it his mission to bust 99 of the biggest food myths you should stop believing right now. These myths are actually costing you time, money, and even extra calories. To help him, Dr Oz welcomed food journalist for “Gourmet” magazine and The History Channel Ian Knauer, from America’s Test Kitchen Dan Souza, and Dr Oz’s go-to tester Rhenotha. Dr Oz: Does Searing A Steak Seal In The Juices? 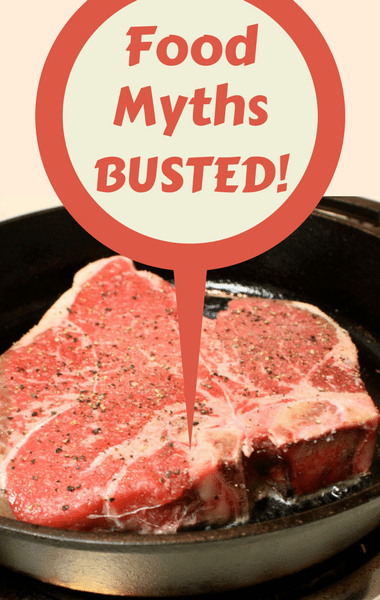 The first myth Dr Oz wanted to tackle was that searing meat locks seals in the juices. For that, he turned to Ian. Ian first took two steaks that weighed the exact same. He seared one and finished it in the oven, then started one in the oven and seared it afterward. He then weighed both steaks to see how much of that liquid was lost in each of the steaks. It turns out there was just a minor difference.